The dashing Shahid Kapoor who was last seen on big screens in Vishal Bharadwaj’s ‘Haider’ has all good to say about the director. As Shahid says that he does believe that Vishal happens to be one of those directors in the industry whom he thinks can bring best out of him. Much before ‘Haider’, Shahid had worked with Vishal in 2009’s biggest hit’s ‘Kaminey’ where Shahid was seen in double roles. 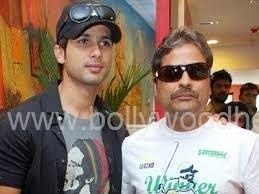 Shahid in an interview to a leading tabloid said, "I’ve an amazing bond with Vishal, and I hope he makes all his films with me. But, I also think every actor should get a chance to work with him." Currently, Shahid happens to be all busy with Vikas Bahl’s ‘Shaandar’. Post ‘Shaandar’, the actor will start shooting for Abhishek Chaubhey’s ‘’Udta Punjab’.